Today’s lunchtime ride was the last before the time change. Not that this matters for riding at mid-day, but the early sunsets may make it impossible for me to ride my road bike to work for a while. So we made the best of it today. And there were even three of us along for the ride. It was a perfect fall day. Erik, Vikki and I met outside and we decided to do the Water Tower ride again. So we headed south, through San Marino. The climb up to the water tower was nice as always. Erik kind of left us behind on the bigger hills. But that was all right. 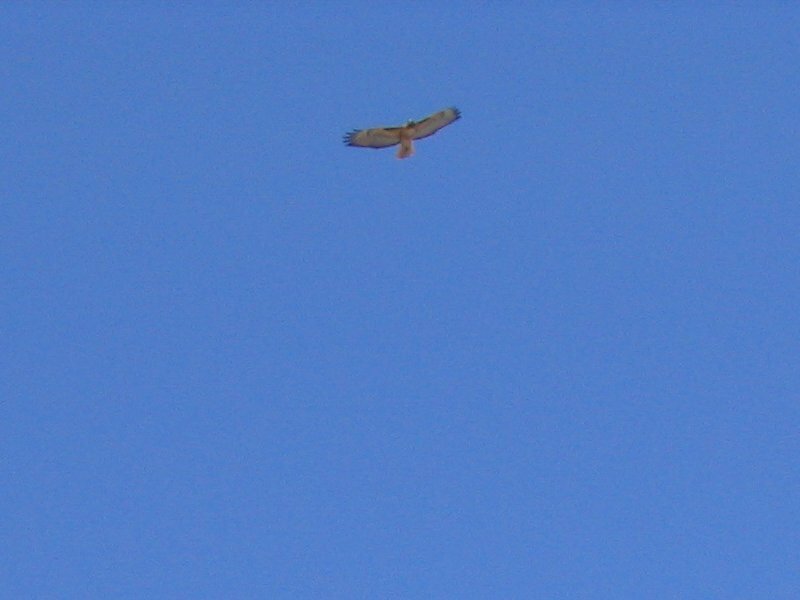 When we got to Colorado, we saw a hawk flying circles over the freeway. This was a bit odd, but still interesting. Then we turned and rode up the big hill on Patrician Way. Coming down the other side of the hill, we rode down to the Rose Bowl. It looked like they were getting ready for some big event. 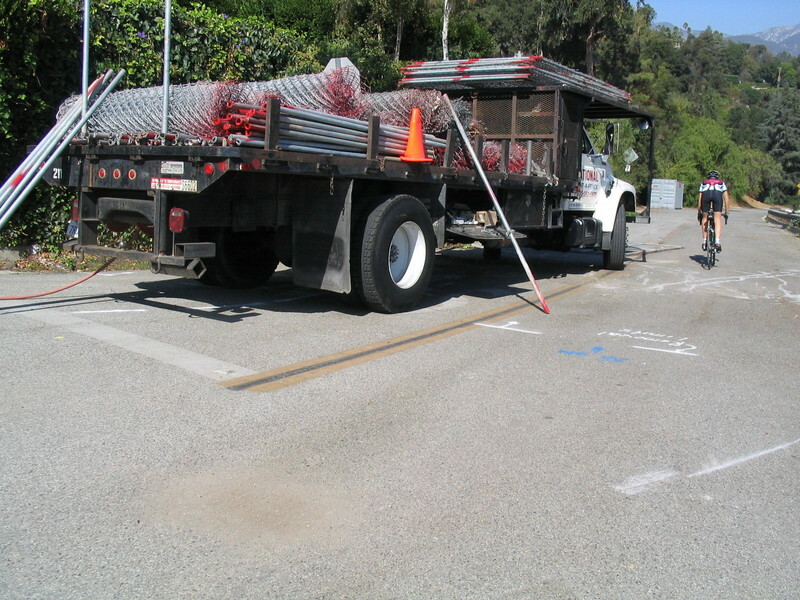 There was a truck parked there with rolls of temporary fencing ready to be put up. After passing the Rose Bowl, we rode up to Orange Grove and then back to the office on Green St. Along the way, I was trying to explain to Vikki and Erik how to do a track stand on a road bike, but I don’t think I was explaining it all that well. Still, it was a very pleasant ride. 18 miles at lunch, 26 for the day.